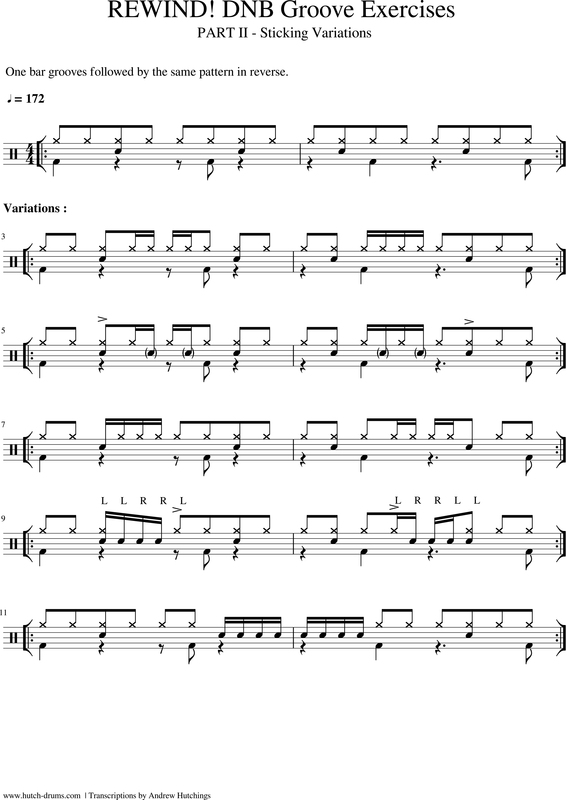 These are Jungle grooves repeated in the consecutive bar/s as a mirrored image – played in reverse. 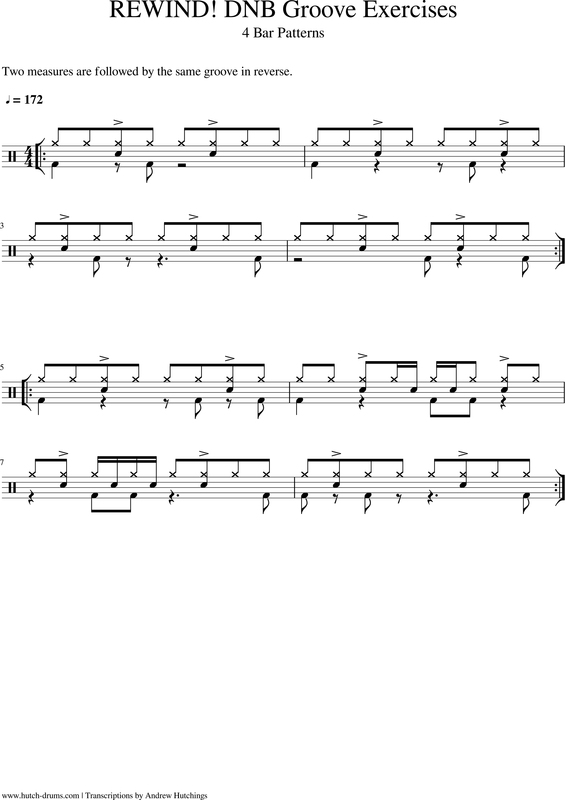 They’re a good variation on any looped beat you’ve been sitting on and a good exercise in shifting the backbeat off the ‘2’ and ‘4’ and moving the accents around the bar like a cut up sample. Note: Drum ‘n’ Bass means we’re working at 174bpm or thereabouts. But start slow! Always start slow.